Autumn so far this year has been one of many different weather patterns. From the brilliant colors of the tree leaves and very warm temperatures, to rainy days and then to snow event days. Only in Alberta! 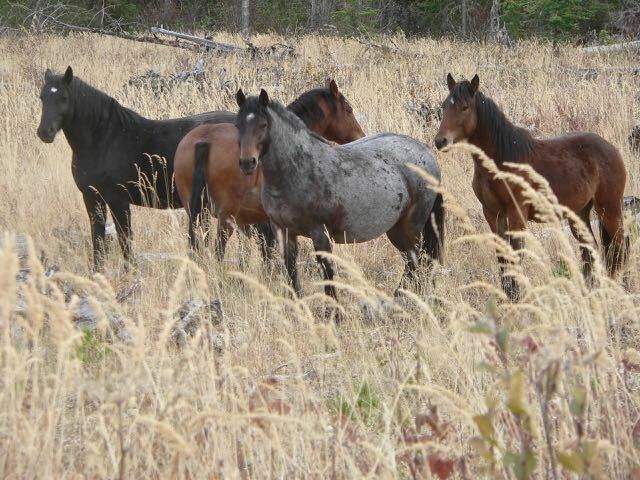 The wild horses though are doing well and starting to change their routines as the next season gets closer. We have been able to get in few rides on our horses to enjoy the company of the wild horse herds and the beauty of the country they call home. We were saddling up the one day when this young boy came along to investigate our horses. 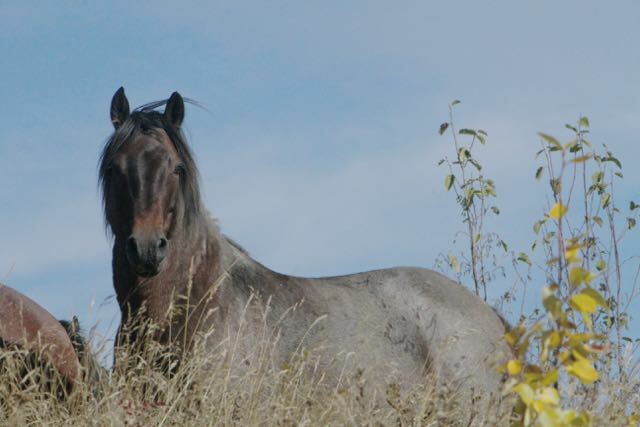 Likely due to the very dry conditions this summer, we have not been finding the horses up on the ridges. Just below where this boy appeared there is a spring and where we found lots of horse tracks. Keeping closer to water sources is where they have been hanging out. We met this herd down in a creek valley but upon seeing us they raced up the ridge. 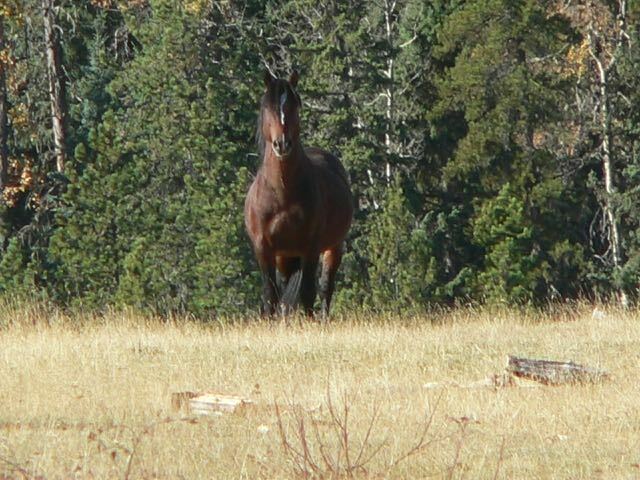 Two foals were with this band including this little black beauty. She was so curious and unafraid. 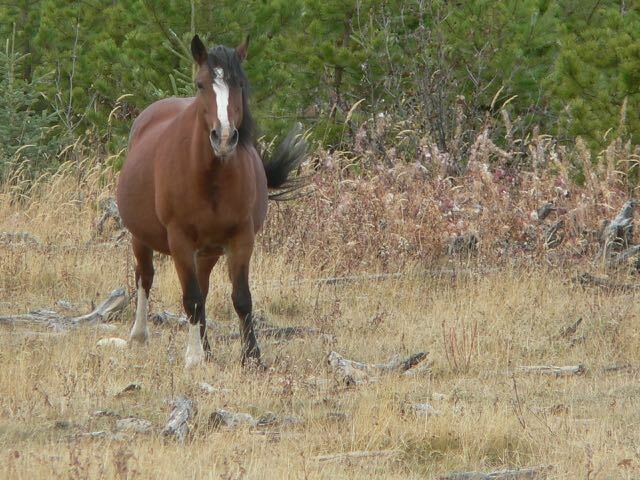 As you can also see the lead mare is looking very healthy and pregnant. 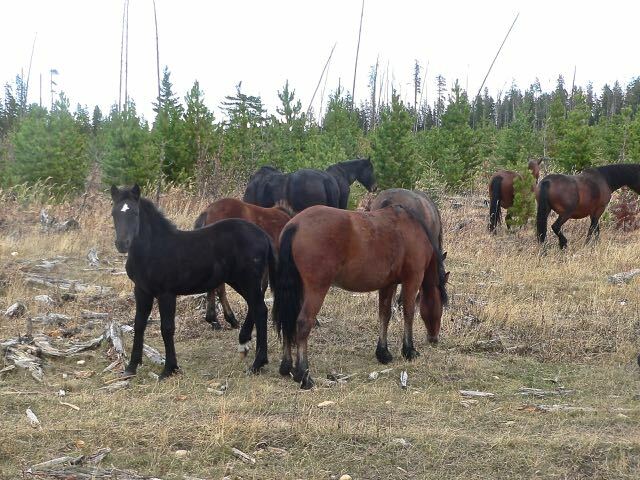 A little further along we came across another herd feeding in a clearcut again close to a small stream. You cannot believe the deadfall that is hidden underneath the tall grass. Yet it is amazing that these wild horses seem to navigate and traverse such difficult terrain with ease to find such luscious grass. Coming up out of the creek bottom you can see that the grass is up to their bellies. Such a beautiful setting to find them. 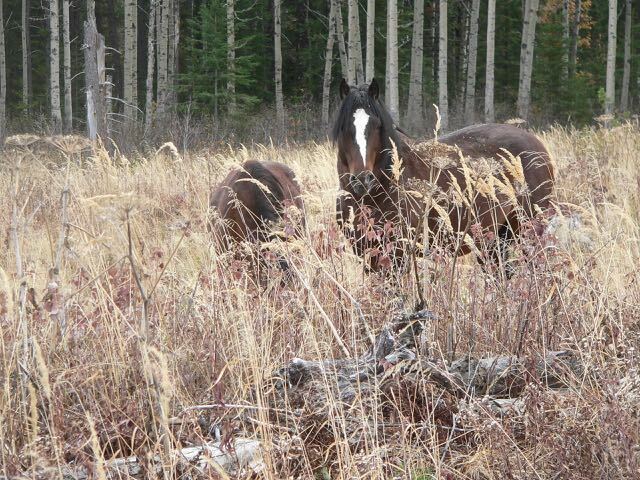 We’re hoping for more nice fall weather to enjoy our horse back rides with these wonderful wildies. 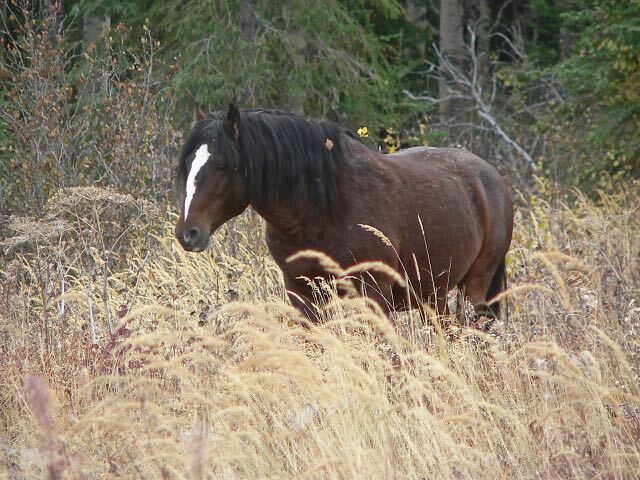 We continue to welcome school groups, interested social groups, and others as well as visit 4-H clubs giving a presentation on the history of the Alberta wild horses and the work that WHOAS does to protect and save them. We look forward to further visits.